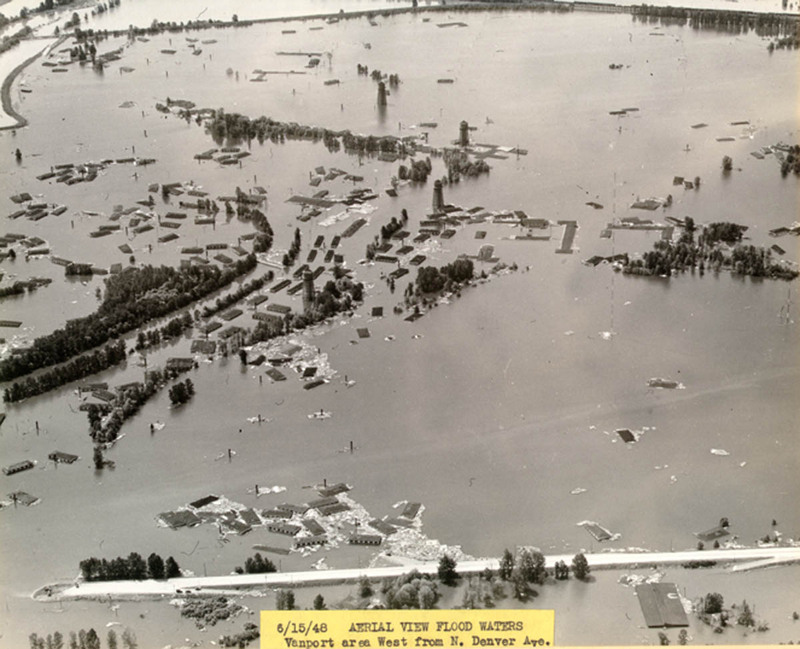 It was 64 years ago today that a railroad berm at the western end of Vanport City gave way under a heavy spring snow melt runoff allowing waters from Smith Lake and the Columbia River to inundate the area. 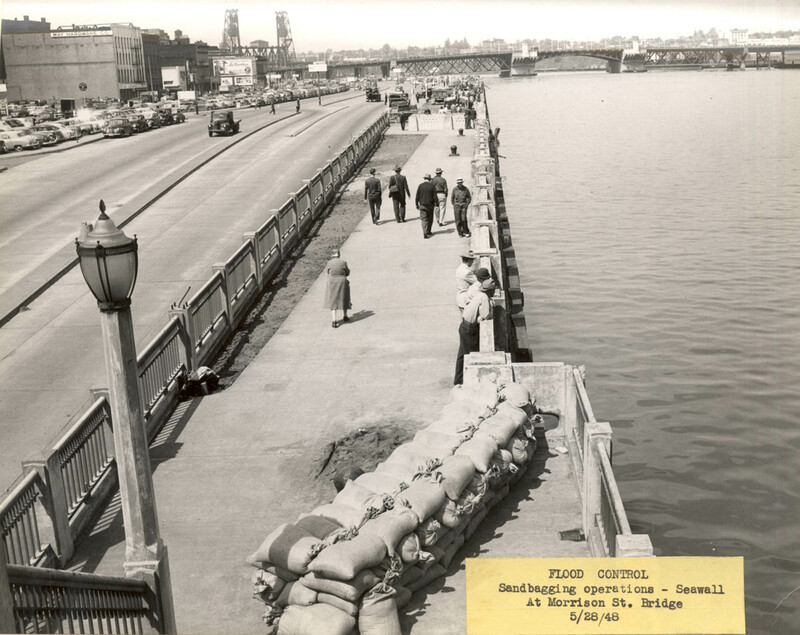 This photo shows the aftermath of the devastation from roughly the same position as this earlier Vintage Portland entry. 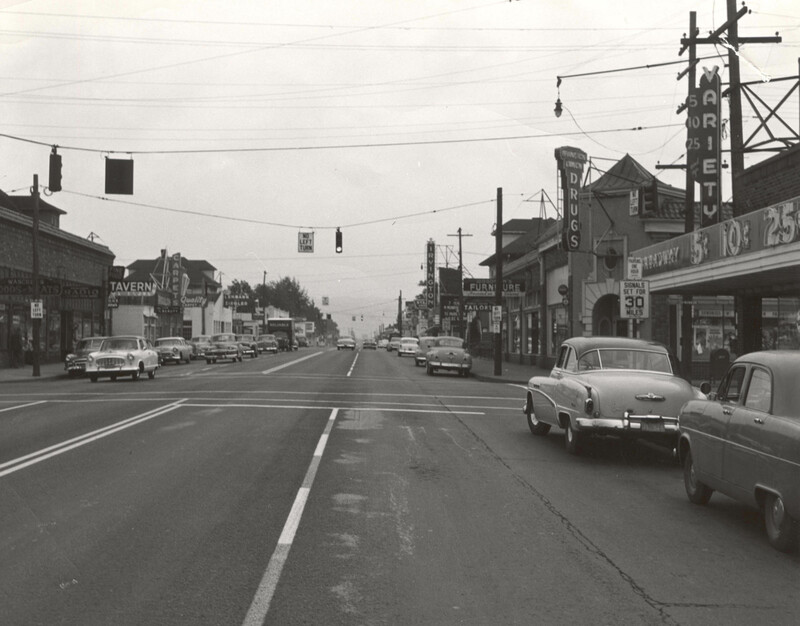 This 1958 image shows NE Broadway looking west from 15th Avenue. This was two years before Lloyd Center opened nearby; it probably would have been a primary shopping area at the time. 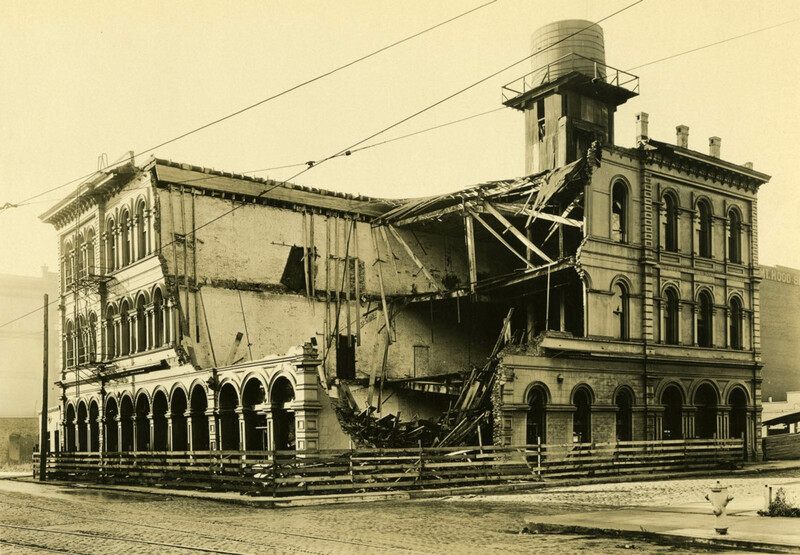 Building Demolition, c1930 – Help Us Out! The City of Portland Archives provided this photo enlisting your help in finding the identity and location of this building. The photo comes from the Portland Fire Bureau and is dated circa 1930. It’s a fine example of Portland’s early inventory of cast-iron architecture that obviously didn’t survive. This is a tough one as there is very little to go on and this does not appear to be one of the better known cast-iron buildings. I have my own theory, let’s see what you come up with. Enjoy and good luck! Found: Zeta Psi Building, NW Front Ave. & Davis St. 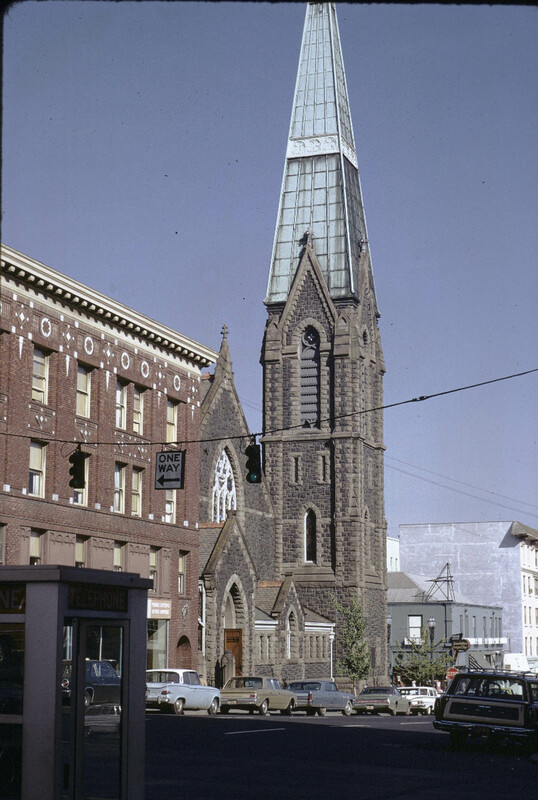 The First Presbyterian Church has been on the southwest corner of SW 12th and Alder since 1887. 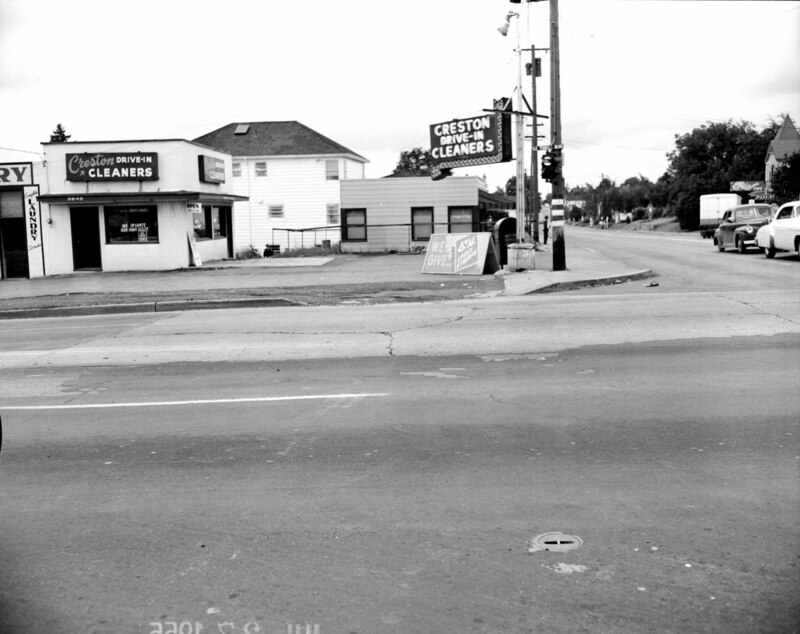 Its south side, hidden for many years by the Danmoore Hotel (at left), is now completely exposed since the hotel was demolished in 2005. We gained a view on the south but street-side trees maturing since this 1967 photo tend to obscure the magnificent east and north facades. 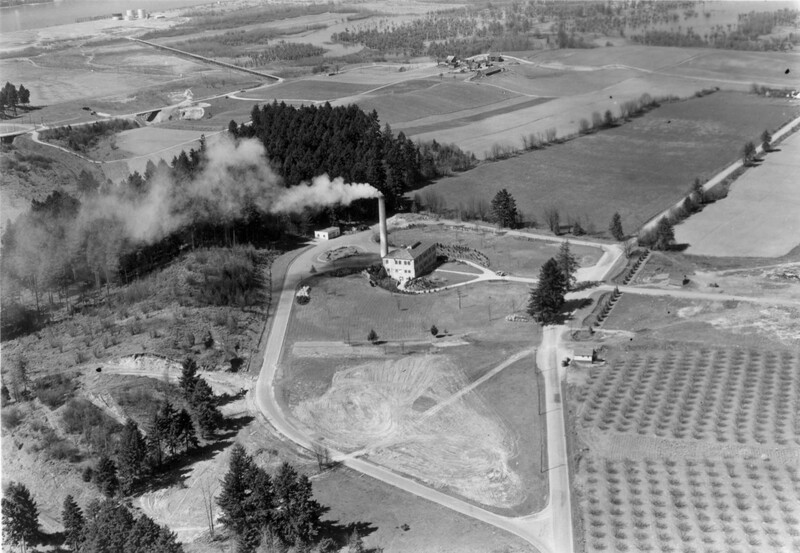 Portland built this incinerator facility on N. Columbia Blvd. in 1932. Air quality standards forced its closure in 1970 and the building became the Archives and Records Center for the City of Portland in the 1980s. The Archives and Records Center has since moved to a beautiful new climate-controlled facility on the Portland State University campus but this building still remains in North Portland. This site is now called Chimney Park although ironically, the chimney was removed in 1990. This view looks west with N. Columbia Blvd. on the right.